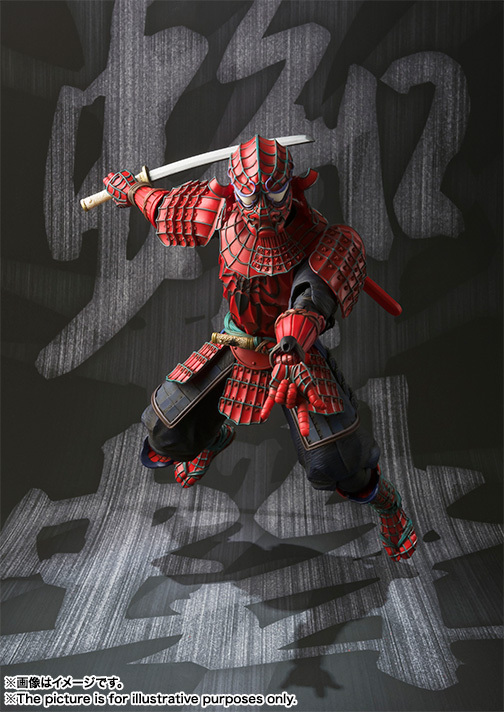 Tamashii Nations has officially revealed their Marvel Manga Realization Samurai Spider-Man action figure. Spider-Man has never looked so badass. 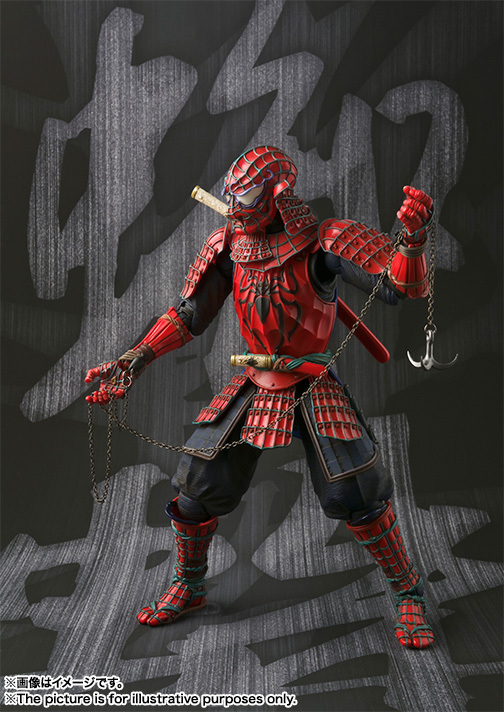 The 7″ figure comes with a Japanese sword set, a deadly chain and grappling hook type weapon that is used in place of the webbing, as well as interchangeable hands. As you’ll see in the photos, this thing is wicked cool and I want one! Pre-orders for the figure starts on April 28th with an estimated arrival on August 9th. 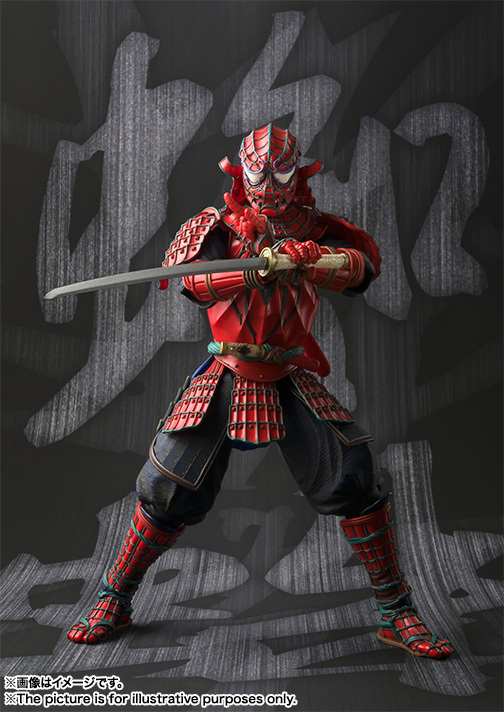 The figure costs 9,504 Yen, which is about $86 in the US. Check out some more pics below. This SPIDER-MAN Action Figure Is Ridiculously Posable and It's Awesome!